What can I say about Curt Swan's Superman that hasn't been said already? For over thirty years -- an impressive stretch by any standards but a virtual eternity in comic book terms -- Curt Swan was the mainstay of the Superman mythos. During his tenure, and with his input, the vast and wonderful universe of the Silver Age Superman dawned, peaked and finally faded. In the course of those three decades, other artists came and went, grabbing glory then moving on, while Swan remained steadfast, consistently turning out story after story of handsome illustrations with a dependability and dedication to rival Superman's own. 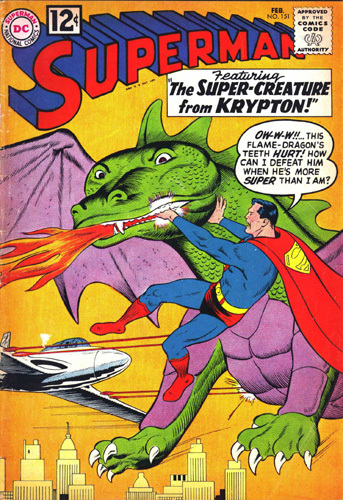 Swan began his association with the Man of Steel in the early 50's, pencilling issues of Superboy and Jimmy Olsen. His contributions to the popular 1955 one-shot Superman 3-D earned him regular work on the "flagship" titles Action and Superman. Eventually Swan succeeded Wayne Boring as the Man of Tomorrow's principal artist, and stayed with the character from the TV-influenced stories of the 50's through the "super-everything" 60's and the soap-opera "relevancy" of the 70's right up to the Multiverse-shaking "Crisis" of 1986. Along the way he teamed with legendary creators from Edmund Hamilton, Jerry Seigel and Otto Binder to Cary Bates, Elliot S! Maggin and Alan Moore. Like a comics industry version of Norman Rockwell, Swan was a master at illustrating an idyllic America. His characters were good-looking in a pleasant sort of way, not so much like movie stars or supermodels as the wholesome, clean-cut guy or gal next door. He prided himself on his ability to draw "real" people in realistic settings, but he also had fun creating various life forms, architectures and fashions for scores of alien worlds. Swan demonstrates his mastery of facial expressions with an amused Clark and Jimmy and a miffed Lois Lane. Swan could choreograph a fight scene with the best of them, but his real strength lay in his depictions of human emotion. His predecessor Wayne Boring drew a huge and powerfully-built Man of Steel, brimming over with power but limited to a mere handful of stock facial expressions: open-mouthed shock, clench-jawed solemnity (easily the most used) and the ubiquitous grin and wink. 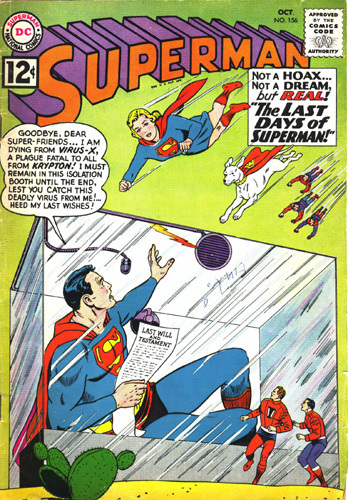 In contrast, Swan's Superman (and Jimmy, and Lois, and Luthor...) had an endless repertoire of facial expressions; joy, rage, desperation, deviousness, confusion, panic, contentment, jealousy, wistfulness, adoration, annoyance, each depicted with a subtle skill that made captions superfluous. 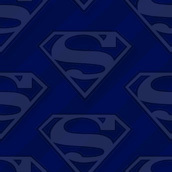 There was no need to tell us when Superman was feeling blue; we could see it in his face. 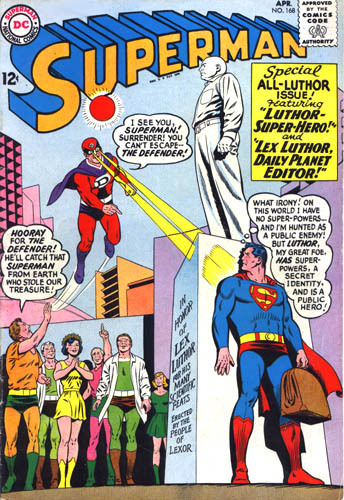 The switch to a more human Superman was decided by group editor Mort Weisinger. "Mort wanted the drawing to be less cartoony and more illustrative," Curt later explained. Even so, the editor had issues with Curt's use of lines to show emotion on the characters' faces. "He thought it made Superman look too old," wrote Swan. I think I finally got through to him by pointing out that even a baby, when it's angry or crying, has lines on its face." Swan's accent on emotion suited the Silver Age Superman, as the books took on operatic overtones of tragedy and pathos and indulged in fond sentiment for an ever-expanding supporting cast of friends and foes. 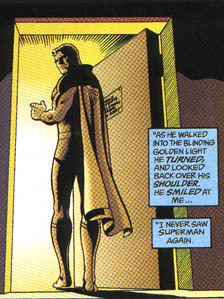 The Superman of this era may have been near-invulnerable physically, but emotionally he was as human as the next guy. He could fall deeply in love and often pined for his lost world of Krypton. He felt genuine disappointment over his friend-turned-enemy Lex Luthor, strong paternal concern for his young cousin Supergirl, abiding grief for two lost sets of parents, warm affection for Batman and Robin, and continual frustration in his efforts to enlarge Kandor. By the late 60's, the enormous Weisinger-era "Superverse" was already being deconstructed and shrunken. The early 70's saw Superman re-tooled as a more streamlined character, with a smaller and mainly Earth-bound supporting cast. In this era, Superman was more likely to spend his down time in front of Clark Kent's TV set than in an arctic Fortress full of alien relics, and was more interested in dating Lois Lane than playing "Nightwing" in Kandor. 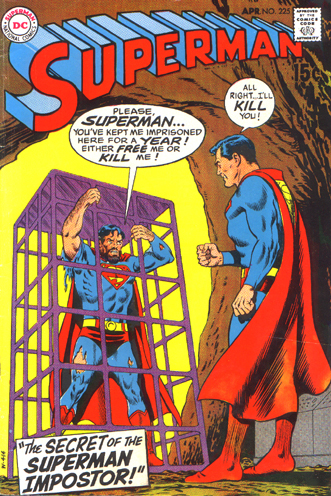 Again, Curt Swan proved his worth, adapting easily to this new focus on Superman's humanity. 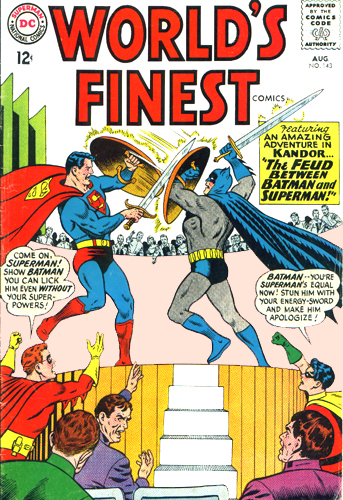 Teamed with inker Murphy Anderson, he produced what many consider the best artwork of his career. Swan guided Superman through many eras and interpretations, from the 1950s to the mid-80s. By the early 80's, however, fans were getting restless. 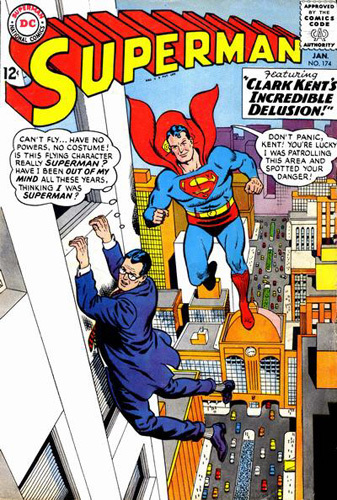 Swan's long tenure as chief artist had fostered a comfortable sense of continuity in the Superman titles, but in the interim, other comic book characters had stolen the limelight through policies of innovation and change. In the 70s and early 80s Batman enjoyed a creative renaissance at the hands of "hot" new artists like Neal Adams, Marshall Rogers and Michael Golden, each of whom re-tooled the Dark Knight to fit their styles. In Marvel's The New X-Men, writer Chris Claremont and artists Dave Cockrum and John Byrne took a so-so team of second-stringers and transformed them into the company's most popular characters. DC answered with a re-imagined Teen Titans by Marv Wolfman and George Perez. In this era of bold creative experimentation, the steadfast Superman stood out like a sore thumb. Many fans saw him as a character frozen in the past, stuck in a rut and essentially irrelevant. 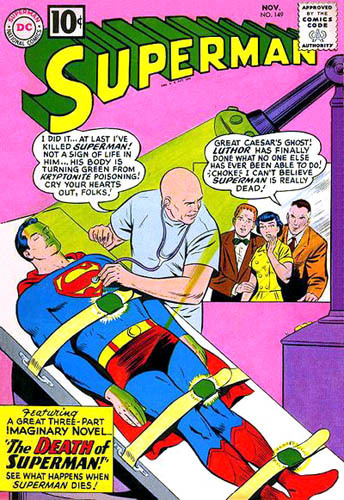 Curt Swan's art was a key factor in this perception. Most readers were too young to remember a time when Superman wasn't drawn by Swan, and with their insatiable appetite for new and more daring art styles, Swan's work was perceived as old-fashioned and dull. The writing was on the wall. DC made plans to re-invent Superman from the ground up following their epic Crisis on Infinite Earths, eventually entrusting the character's future to (then) superstar artist/writer John Byrne. Ironically, during this "lame duck" period of his Superman career, Swan turned in some of his best artwork ever, thanks in part to the inspired choice of Al Williamson as his inker. Fittingly, Swan drew the last story of the "Pre-Crisis" Superman in 1986. Titled "Whatever Happened to the Man of Tomorrow? ", the tale was a magnum opus wrapping up storylines that had been dangling for close to 30 years. Emotionally, it was a melodrama on par with the best three-hanky epics of the 60's, and Swan did a phenomenal job, as always. As it happened, this "last Superman story" wasn't exactly Curt's "Swan Song" on the character. 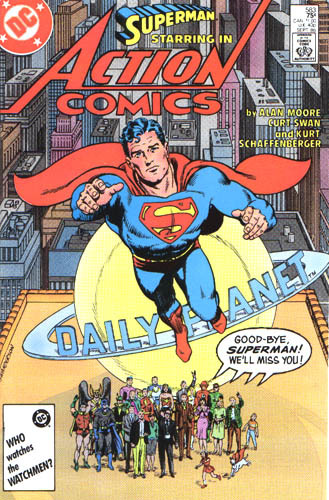 Once the "new and improved" model Superman was established, Swan was quickly invited back for numerous special projects (like "The Earth Stealers," a one-shot with Byrne and Jerry Ordway) and the occassional guest page in anniversary issues and the like. But in every way that counted, Swan had passed the pen to a new generation of artists, and in 1996, he passed away. Though often underappreciated by fans, Swan was a hero to many younger artists, including fan favorite George Perez, who counted Swan as a major influence and writer/artist Dan Jurgens, who guided Superman's adventures throughout the early to mid-90s. In his later years, Curt was said to be continually surprised at the number of fans he did have; he had looked at his work simply as a job, like any other. That so many people would remember, and cherish, his work years afterwards always amazed him. In the end, our pleasure was all Curt was after. "I get more enjoyment out of watching a young one's smiling face staring into a comic book that I drew," he said near the end of his life, "than I could possibly get out of all the money, praise and accolades in the world!" For Curt's sake, I like to think that on any given day, somewhere in the world kids are discovering his version of Superman. 'Cause if they are, you can bet they're smiling. And so is he. 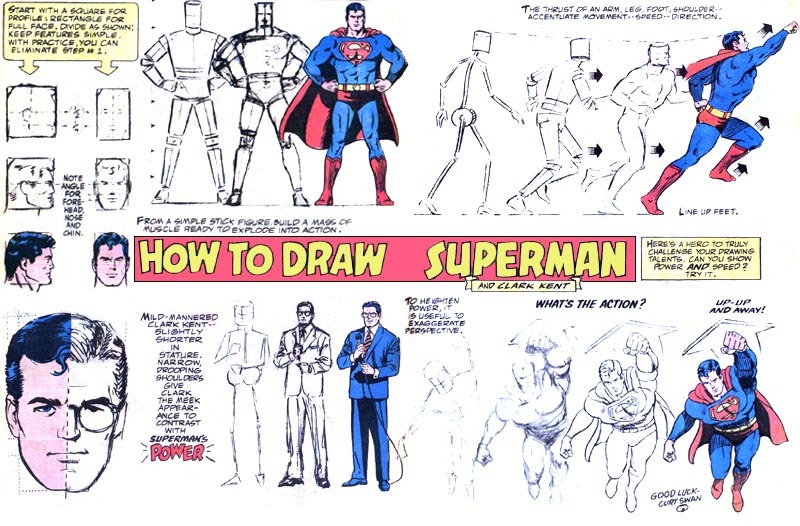 Swan Reveals "How to Draw Superman." See a page of Curt's original art!